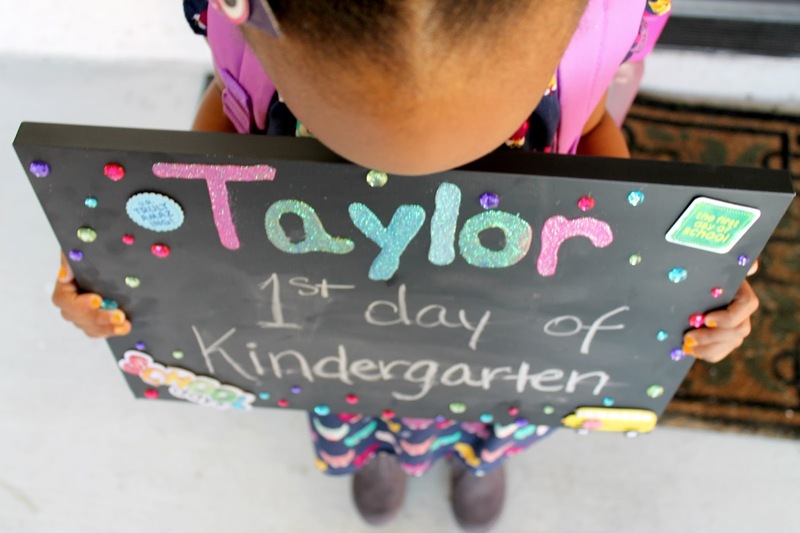 Today is my daughter's first day of kindergarten, and while I am an absolute wreck (she's been home with me since birth and we've spent nearly every day together), I wanted to make this day extra special for her. When she woke up this morning, I had this decorated chalkboard sign waiting for her. 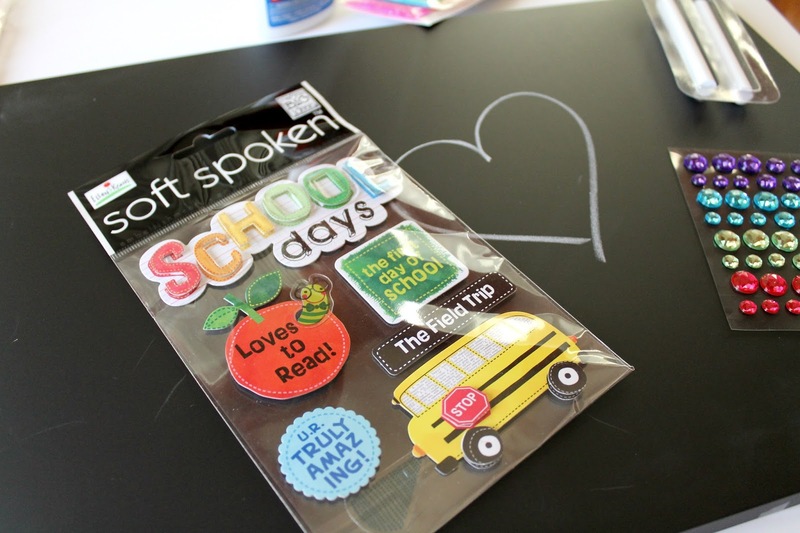 All it took was a chalkboard (which came with an easel and screws for hanging), a few scrapbooking stickers and gems, and some glitter and glue, all of which I picked up at the craft store--it was simple and very much appreciated. I've decided to start a tradition of marking her first and last days of each school year with a photo of her holding her custom sign. It'll be fun to see how my baby matures over the years as we erase one grade level and write the next one; I imagine the sign will look smaller and smaller as her little hands grow, and her fashion and accessory choices will change dramatically. What I hope never changes though, is the precious smile on her face and the excitement in her eyes. Happy first day of school to my sweet girl. Mommy loves you more than life! I'm soooo looking forward to doing this for Christiana! I saw one mommy put what her daughter wants to be when she grows up on her chalk board in addition to the grade she's entering. Oh that's cute--I wish I'd thought of putting what she wants to be when she grows up. Although, there may not have been enough room because she wants to be about 30 different things at the moment. There is just too much cuteness on this post for me to respond to. Hey Chineye, adding what they want to be when they grow up on the chalkboard would had been a fab idea. But, I'd have to agree with Angel, my son would've had an overflowing list of about 20 different things. No chalkboard has room for that!!!! Ha ha ha... Oh, how I love his zeal! He's an ambitious kid! Love him!